Upgrade your life with this extraordinary luxury townhouse that features three spacious bedrooms, plus two and one half bathrooms. The covered entry leads into an elegant dining room which connects to a spacious great room which overlooks the kitchen. There is an appealing lanai perfect for relaxing and enjoying the water view and scenic community. Introducing Champions Gate NEWEST community, The Trails at the Vistas! 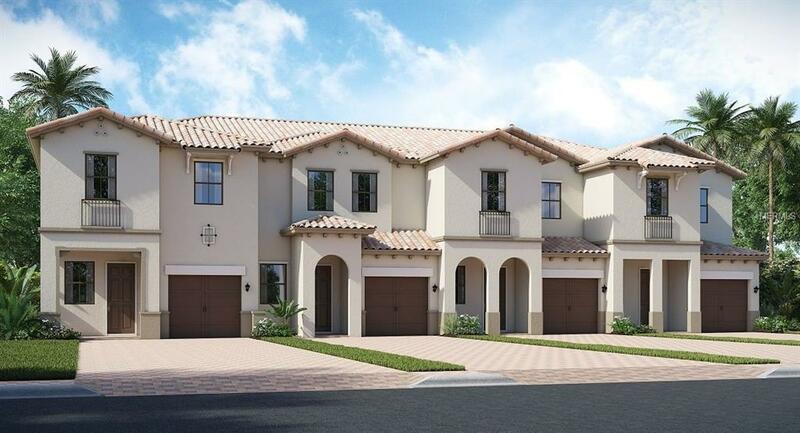 Located near to The Omni's Golf Club, these New Homes provide 3-4 bedrooms with ample space while offering scenic views of the surrounding lakes and golf course, making these New Homes PERFECT for avid golfers and nature lovers! Tee off at one of two nationally-recognized, Greg Norman-designed golf courses or any of the 54 holes of golf within steps of the Vistas. Currently under development, downtown ChampionsGate will also offer premier restaurants and shopping conveniently close to the Vistas. Located just minutes away from Walt Disney World, the Omni Hotel and Resort, International Drive, and I-4, where residents and visitors of the Vistas can play, eat and shop all within minutes from their doorstep. With so much to offer, the Vistas at ChampionsGate provides limitless fun & enjoyment for anyone looking to take a break from life and Live Like a Champion! To view this New Home, visit the Welcome Home Center.